Similar spellings, slightly different pronunciations: it’s a great recipe for word mistakes. 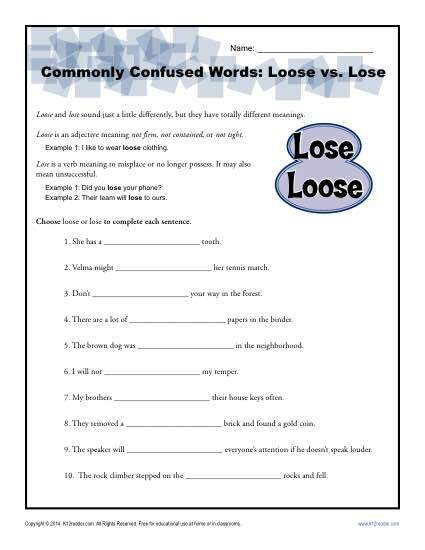 That’s the case with the words lose and loose. In this worksheet your student is asked to read a definition of each one and then decide on the correct one to use in a variety of sentences. It’s great for practicing Common Core Standards for 4th grade Language, but you may also use it for other students as needed.